The job market is extremely competitive these days. Do you want someone else popping up on employers screen when your name is googled? That could be the difference between you getting the job and not! 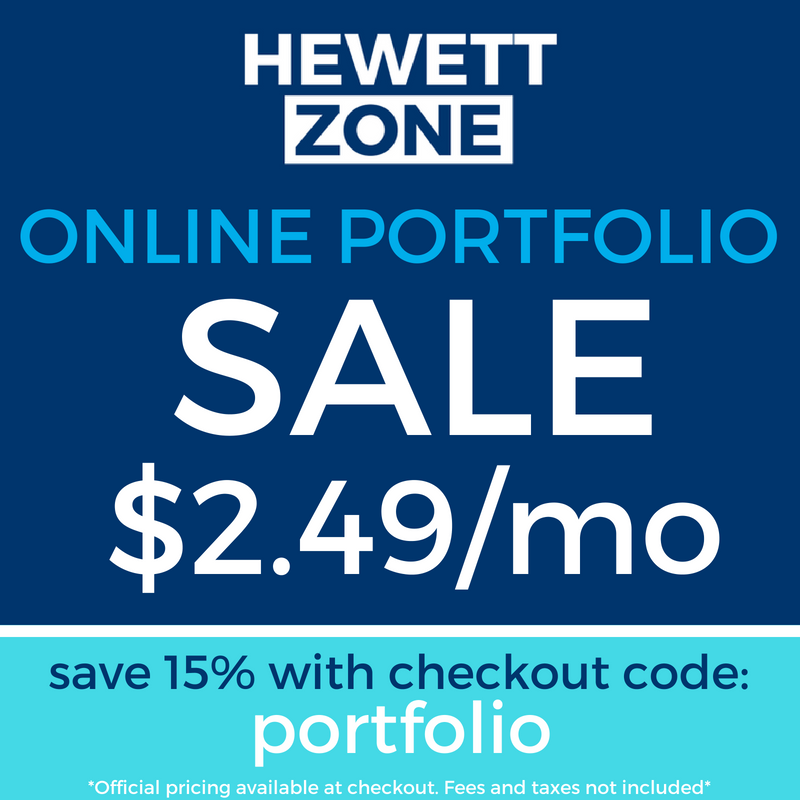 To help you stand out, we're running a limited time sale that saves you 15% off of your online portfolio order. add the promotional code 'portfolio' to your order! head over to your cart to complete the checkout process. don't forget to add the promotional code 'portfolio' before paying.